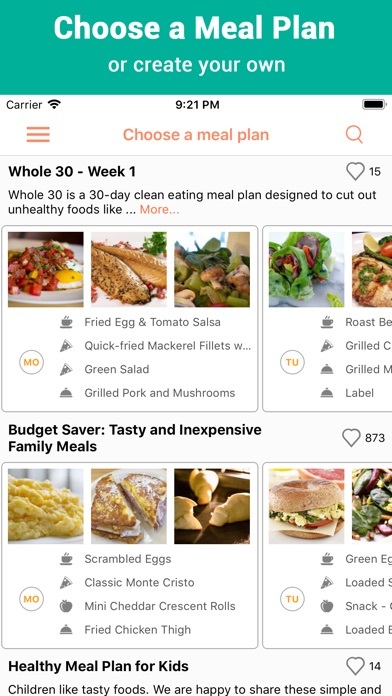 Meal Planner that saves you time while keeping your diet healthy and diverse. 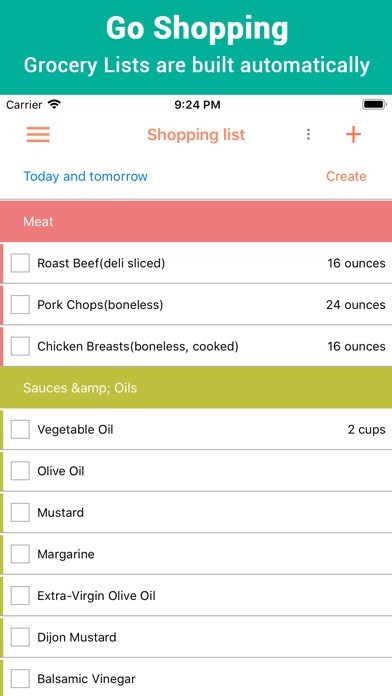 Recipe Calendar simplifies the life of any home cook, no matter how often you visit the kitchen. • Meal planning and organized grocery lists • More than 5000 recipes, numerous preferences to select meals • Thoroughly arranged weekly menus: easy, complex, dietary, vegetarian, and more. Recipe Calendar is easy to use: choose or create a meal plan, use a grocery list to buy products, and cook your meals by following the step-by-step directions. You'll love our delicious, carefully planned meals! Whether you’re just in the mood for a special dinner, or you are looking to improve the overall quality of your diet — with healthy choices that taste amazing — Recipe Calendar will be your map to guide you through the kitchen and your health. Choose a weekly plan based on meal-prep complexity and/or meal style. Our health-centric plans include Low-Carb, Vegetarian, Low-Calorie and even Paleo and Whole 30 menus. 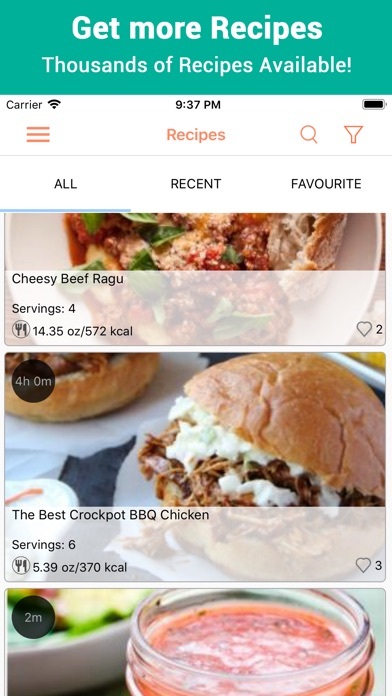 Input the number of people dining and which meals they will have and Recipe Calendar will update the meal plan accordingly! 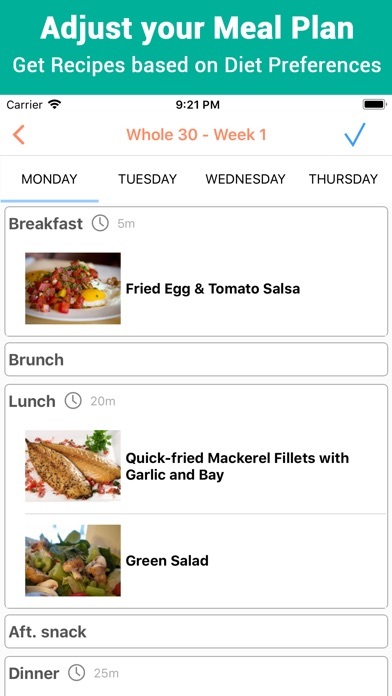 You then have your grocery list in the palm of your hand as Recipe Calendar joins you at the market while you pick up the necessary ingredients; return home and our meal planning app will then walk you through the recipe, step-by-step, so you know exactly what to do with your fresh groceries. For those with less experience in the kitchen, you can choose a simple food plan comprised of well-known dishes: eggplant with bacon, chicken broth or fried pork with noodles. Want something more interesting? Try complex suggestions and enjoy outstanding recipes provided by some of the worlds finest chefs! Interested in health, fitness, or weight loss without sacrificing flavor? Choose one of our health plans — fitness meal plans are based on real, documented nutrition statistics collected by a calorie counter app. These statistics have shown that Recipe Calendar users who follow our tasty and enjoyable health plans do in-fact lose weight! Haven’t found any appealing meal planning menus? Use our planner to schedule your weekly meals yourself. Recipe Calendar includes more than ten thousands recipes: Simple, Dietary, Vegetarian, Low-Calorie, Children’s, and many more! You can even create your own recipe, use it in your future menus, and share it for thousands of other users to enjoy. Try Recipe Calendar now, plan your diet with us and we will help you save valuable time every step of the way! If there is one thing my husband and I can’t often decide on, its what’s for dinner. That is seriously why I love this app. It takes all the mealtime decision-making out of your hectic schedule. We chose the Mediterranean Meal Plan and loved that the app gave us a shopping this for the week’s recipes. So easy and delicious to use! This is a terrific app. It really helps me focus on cooking better meals for myself. I’m busy lately and haven’t spent much time focusing on eating healthy, or really on taste either. 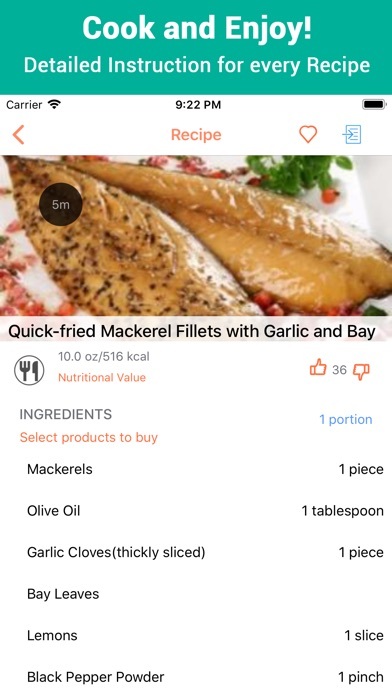 This app made it easier for me to get around to cooking with my wife and we enjoy the recipes.